By last Sunday’s Olympic Closing Ceremonies, I was so ready for that flame to be extinguished and the Games to be over and done with. I hate to admit it, but I had grown tired of the Olympic coverage. It went about five days too long and the spoilers didn’t help motivate me to watch a competition in which I already knew who won gold. I certainly could’ve done without the synchronized swimming, the diving– which after Greg Louganis’ infamous dive, scares the beejeezus outta me, and the volleyball competitions. Um, there is a reason why volleyball is not a televised sport. But a week without Gabby, Shelly-Ann, Lolo, Lia, Serena, and the US women’s basketball team (pictured above) and I missed the action. I missed my grrrls! Specifically I ached to see young women, especially of color, excel, get tough and compete and champion each other. Instead I had to contend with news reports of Evelyn Lozada from Basketball Wives filing for divorce after six weeks of marriage, Usher’s ex wife, Tameka, dissing his current girlfriend on Twitter and media pics of Kim Kardashian sprawled out on the beach took over my Twitter timeline. And all of this happens just when I got used to us ladies going for the gold! Ugh! Well, I raise a glass and a blogpost to all the grrrls that did the damn thing in London. 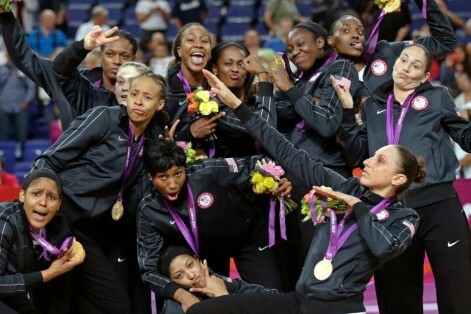 Where would the Olympics have been without these brilliant and inspiring sistren? Allyson Felix blazed Track & Field to win three gold medals! Gabby Douglas– the first African-American gymnast  in Olympic history to become the individual all-around champion, and the first American gymnast to win gold in both the individual all-around and team competitions at the same Olympics! 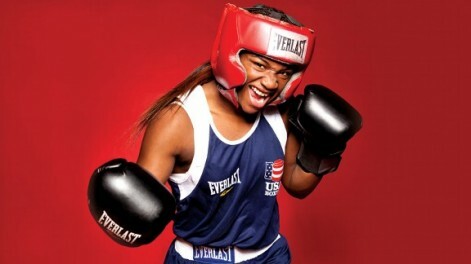 Claressa Shields, the first woman and the only American boxer to win a gold medal at the London Olympic games. 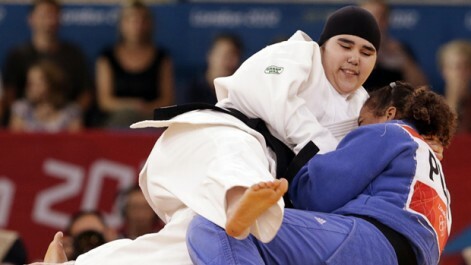 Wojdan Ali Seraj Abdulrahim Shahrkhani was one of two women competing for Saudi Arabia at the games, the first time the Gulf state has sent female athletes at all. Beatriz Pirón of the Dominican Republic. 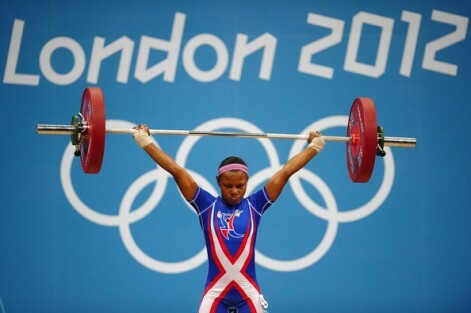 Repping hard in her first Olympics! 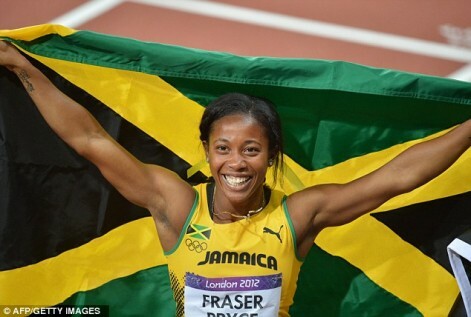 Shelly-Ann Fraser-Pryce of Jamaica wins 100m dash to become fastest woman in the world! 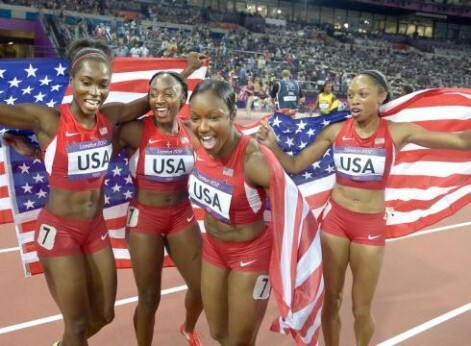 From left, Tianna Madison, Bianca Knight, Carmelita Jeter and Allyson Felix celebrate winning the women’s 4×100-meter relay gold Friday in 40.82 seconds, beating a mark that had stood for 27 years. I never saw Hunger Games, but I was totally mesmerized by women’s archery. 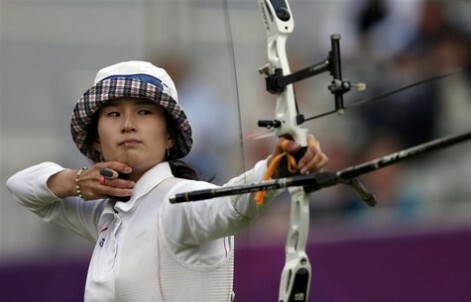 South Korea’s Ki Bo-bae shoots and wins gold at the women’s individual round. 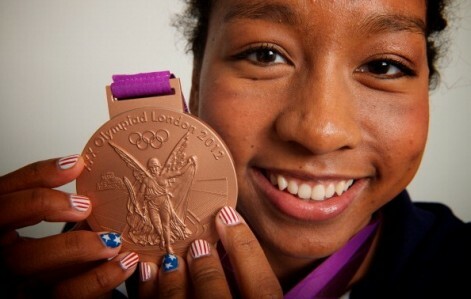 Lia Neal– Brooklyn girl, Bronze medalist & History maker. 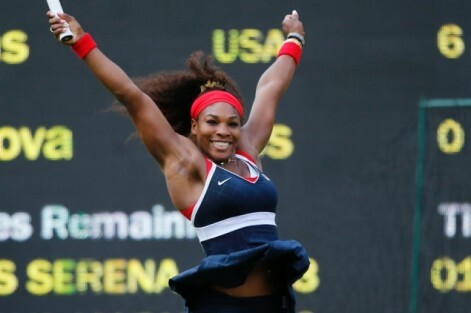 Serena Williams became the second player after Steffi Graf to win a career Golden Grand Slam after winning the gold medal at the 2012 Olympics in Wimbledon and the first player in history, male or female, to win the Golden Grand Slam in both singles and doubles (with sister Venus).